Now that we are getting into the spring and the weather is warmer, a lot of us are looking at ways to change the house and also some more crafty ways to spend our weekend days. There are so many fun crafts we can enjoy at the weekend with our family and one particular material which we can use for our crafts is a glue gun. A glue gun is a handy little art and craft tool and you can use it for so many different things around the house. If you purchase some hot melt glue sticks you can create some super fun things, and today we are looking at just a few that you should try out this weekend. 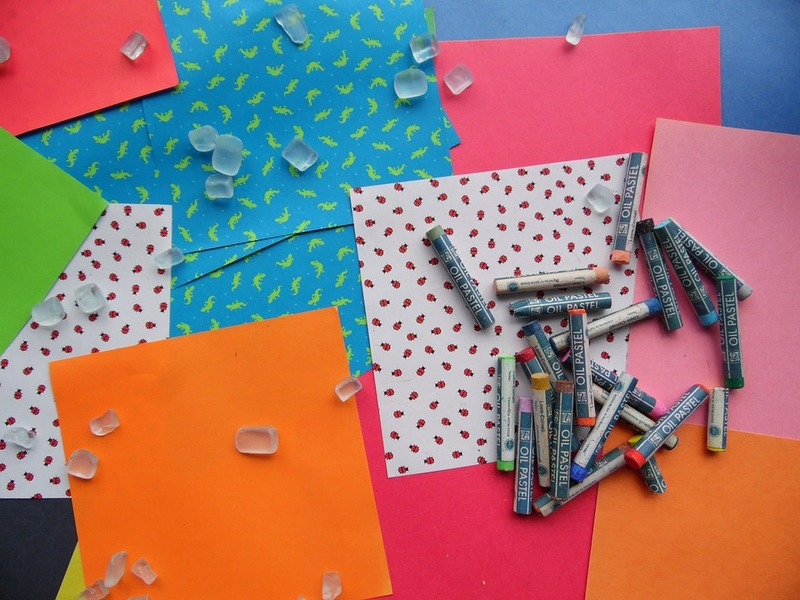 Although the traditional way to use a glue gun is to use clear glue sticks, you can actually replace your regular sticks with coloured crayons to make some fun artwork for the house. When you heat up and melt wax crayons you can get some gorgeous colours and designs and it can be a great activity to try on a rainy day. Make sure you have a canvas to pour the crayons onto and see what kind of patterns you can make! When you watch a period drama have you ever noticed how satisfying it looks to seal an envelope with wax? If you want to add some fun and class to your letters you can try this at home with a stamp and a glue gun. You can create your own personalised stamp online and then use your glue stick to create a wax seal from you to your recipient. This one is just a bit of fun and it will be something the kids would love too. If you have children your home is most likely filled to the brim with toys of all shapes and sizes. If you want to make sure that your child’s toy stay clean and hygienic you’ll need to clean them once in a while. The issue with bath toys such as rubber ducks is the fact that they have a hole in the bottom which can fill with water. Over time this hole can provide a great breeding ground for mould without you even noticing. You can use a glue gun to plug this hole now and this will stop wet toys from getting mouldy inside. A simple craft you can enjoy doing this weekend with either an old vase or a bottle is to paint the case or bottle a bright colour and then decorate it with a glue gun. Imagine the kind of patterns used in henna design, and add these to a vase or bottle and it can make a stunning effect. If you paint the raised design with a metallic coloured paint you’ll end up with a unique effect which will amaze guests and create a talking point when people come to visit. Stained glass looks a lot more complex than it really is, and in fact you can create your own piece of stained glass art with a picture frame, some glass paint and a glue gun. Start off by cleaning the glass pane to make sure it isn’t dusty at all. You can then find a picture you love online such as a flower or a landscape and print off an image to fit in the picture frame, as you will be able to use this as a stencil for your glass art design. Using your glue gun, draw out the design and make sure to seal each section of the frame which will contain a certain colour paint. Once this is dry you can mix some glass paint and colour in your glass to make a stunning piece of art. Simply remove the image from the frame afterwards and you’ll have a unique accessory for the home. If you always struggle to clean your makeup brushes and you want to make sure you can get into the bristles, you can create a little makeup brush cleaning board with an old credit card and a glue gun. All you need to do to make this work is draw zig zag patterns onto the card with glue and let it dry. Next time you come to clean your brushes you can rub them against the card to get into all of those nooks and crannies and get rid of any foundation and loose powder which has built up over time. You’ll be left with clean and shiny makeup brushes perfect for your next day out. If you have a lot of nice dresses or shirts in your closet which always seem to fall down when you hang them up, we have a super simple glue gun solution you can use on our hangers. To create your own non slip hangers at home all you need to do is glue some dots onto each side of your coat hangers and let them dry. Once you have done this the dots will help keep your clothes in place whenever you come to hang them up and this will make life so much easier for you and stop your clothing from falling and becoming creased. When you are at home you will likely want to walk around in either socks or slippers, but if you have a wooden floor or a tile floor at home it can be a little slippery at times and a little bit dangerous. To ensure that you can make the most of your slippers at home, take a few minutes to draw some dots onto the bottom of the slipper to add a bit of grip to them. This will allow you to walk around much easier and save you hurting yourself at home!